Seriously Nexon? Seriously? Right when i get a new Lappy? 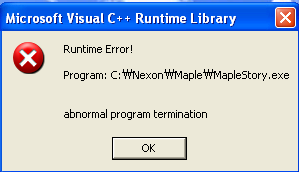 So, anyone know how to fix the error? Download all Microsoft C++ redistrubtables and runtimes. Also try updating/downloading NET. Framework 4.5. If that doesn't work, download all the Microsoft C+ versions.